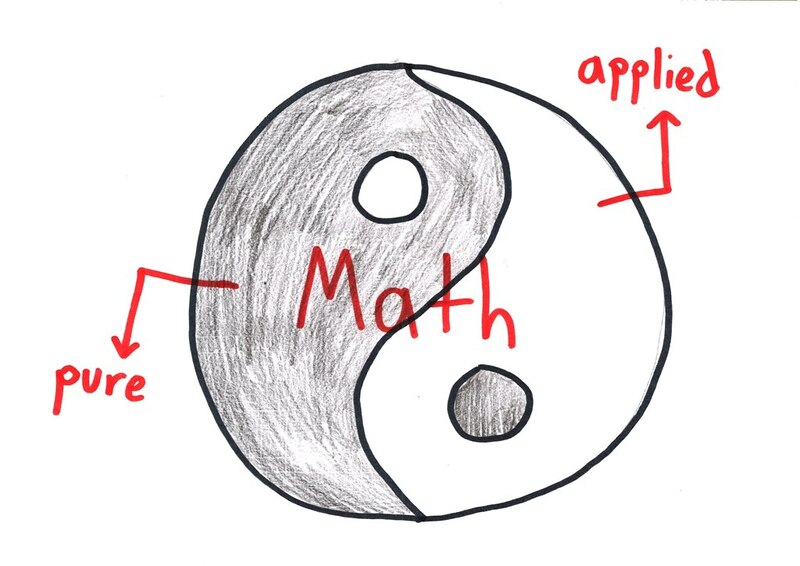 Applied mathematicians focus on the real-world uses of mathematics. Engineering, economics, physics, finance, biology, astronomy—all these fields need quantitative techniques to answer questions and solve problems. Pure mathematics, by contrast, is mathematics for its own sake. Q: You said it, not me. A: Well, I prefer the phrase “for its own sake,” but “useless” isn’t far off. Pure mathematics is not about applications. It’s not about the “real world.” It’s not about creating faster web browsers, or stronger bridges, or investment banks that are less likely to shatter the world economy. 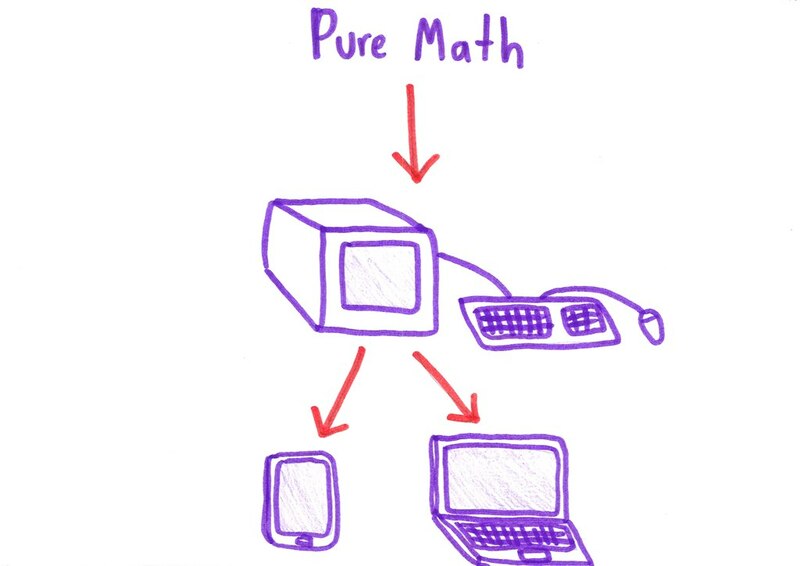 Pure math is about patterns, puzzles, and abstraction. It’s about the other ideas that come before, behind, next to, or on top of those initial ones. Q: You’re telling me there are people out there, right this instant, doing mathematics that may never, ever be useful to anyone? A: Because it’s beautiful! They’re charting the frontiers of human knowledge. They’re no different than philosophers, artists, and researchers in other pure sciences. Q: Sure, that’s why they’re doing pure math. But why are we paying them? A: Ah! That’s a trickier question. Let me distract you from it with a rambling story. In the 19th century, mathematicians became obsessed with proof. For centuries, they’d worked with ideas (like the underpinnings of calculus) that they knew were true, but they couldn’t fully explain why. So at the dawn of the 20th century a few academics, living on the borderlands between math and philosophy, began an ambitious project: to prove everything. They wanted to put all mathematical knowledge on a firm foundation, to create a system that could—with perfect accuracy, and utter permanence—separate truth from falsehood. Can you imagine anything more abstract? Anything more “pure”? Curiosity was their compass. Applications could not have been further from their minds. 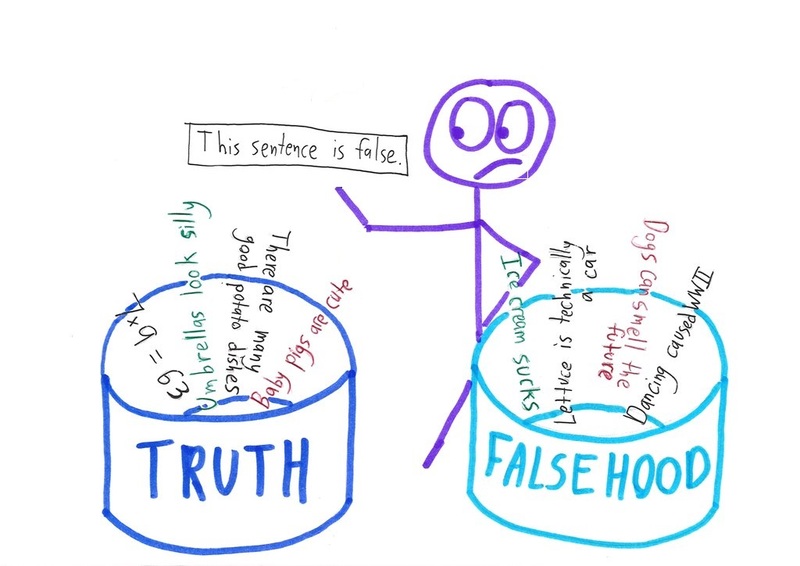 Eventually, the philosopher Kurt Gödel proved that no matter what axioms you choose to start with, any system will eventually run into statements that can’t be proven either way. You can’t prove them true. You can’t prove them false. They just… are. We call these statements “undecidable.” The fact is, many things can be proven, but some things never can. Q: Ugh! So it was just a massive waste of time! Pure maths is the worst. A: Oh, I suppose you’re right. Of course, the researchers tried to salvage something from the wreckage. Building on all this work, one British mathematician envisioned a machine that could help us decide which mathematical statements are true, false, or undecidable. It would be an automatic truth-determiner. Q: Did they ever build it? This enormous project to prove everything—one of the purest mathematical enterprises ever undertaken—didn’t just end with a feeble flicker and a puff of smoke. Far from it. Sure, it didn’t accomplish its stated goals. But by clarifying (and, at times, revolutionizing) ideas like “proof,” “truth,” and “information,” it did something even better. It gave us the computer, which in turn gave us… well… the world we know. Q: So the pure mathematics being done today might, someday, give us a new application as transformative as the computer? But you shouldn’t hold any specific piece of work to that standard. It won’t meet it. 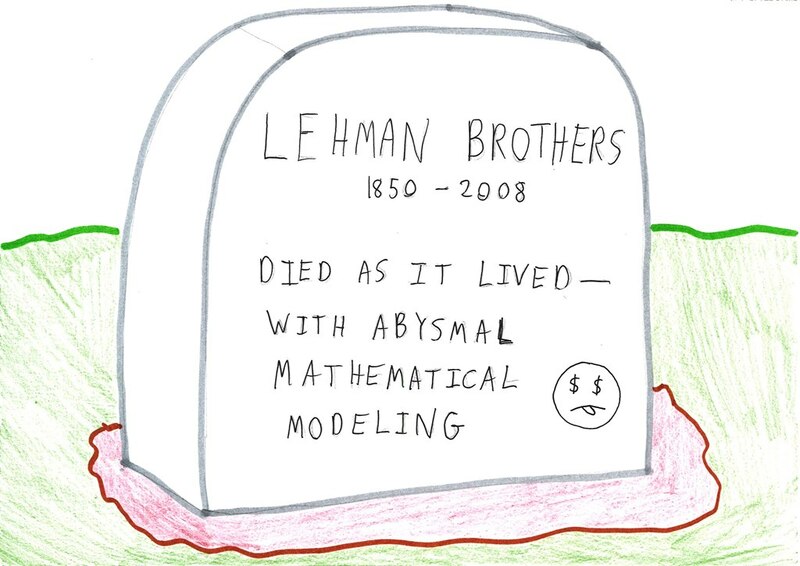 Paper by paper, much of the pure math written this century will never see daylight. It’ll never get “applied” in any meaningful sense. It’ll be read by a few experts in the relevant subfield, then fade into the background. But take any random paper written by an early 20th-century logician, and you could call it similarly pointless. If you eliminated that paper from the timeline, the Jenga tower of our intellectual history would remain perfectly upright. That doesn’t make those papers worthless, because research isn’t a collection of separable monologues. Every piece of research builds on what came before, and nudges its readers to imagine what might come next. Those nudges could prove hugely valuable. Or a little valuable. Or not valuable at all. It’s impossible to say in advance. In this decades-long conversation, no particular phrase or sentence is necessarily urgent. Much will be forgotten, or drift into obscurity. And that’s all right. What’s vital is that the conversation keeps on flowing. 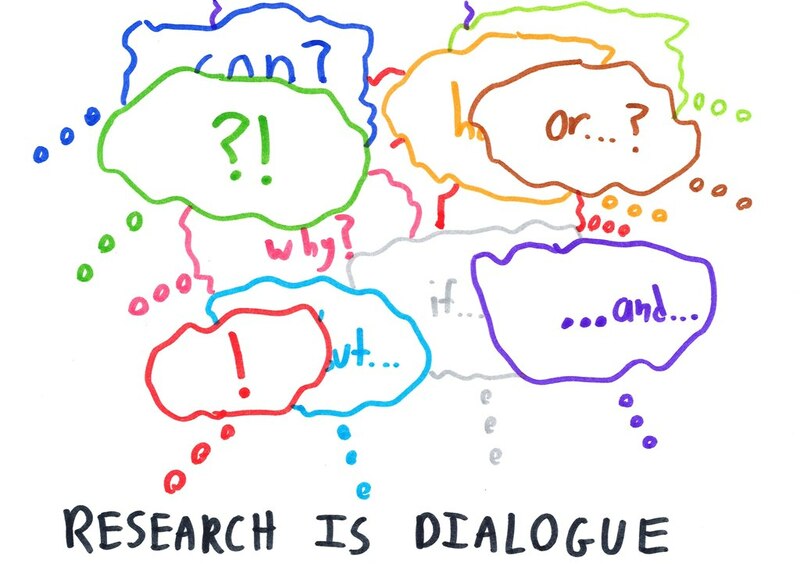 People need to continue sharing ideas that excite them, even—or perhaps especially—if they can’t quite explain why. 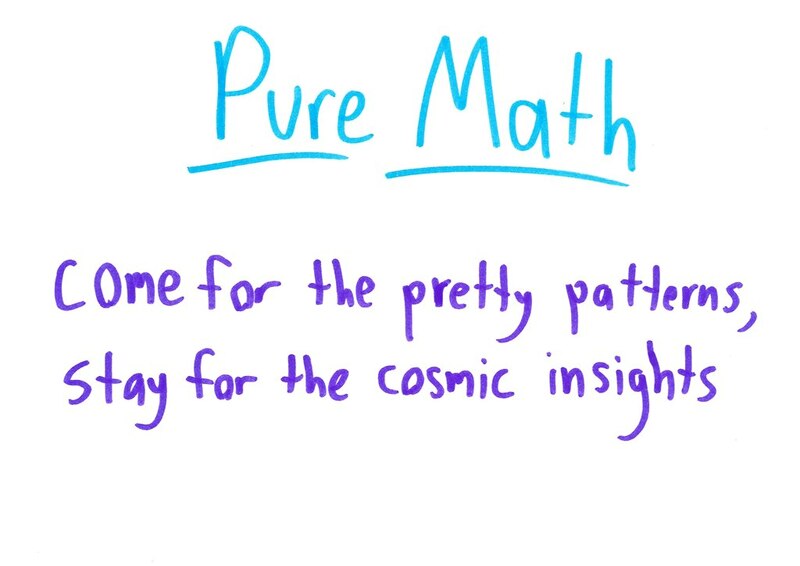 Q: So, pure maths… come for the pretty patterns, stay for the revolutionary insights? A: That about covers it. the beauty of the phrase "for its own sake" as an alternative to "for no particular purpose"
Hello. I have been engaged in considering the practical applications of pure math philosophy, for lack of a better term. You blew my mind when you identified the invention of the computer as a byproduct of conceptualizing a system to organize true, false, and indecipherable. This is intrinsically interesting to me, because it seems like a practical benefit to the human race, which implies that if we continue to explore the manipulation of those 3 things, we will continue to advance. It seems to me that this is the edge of human understanding, so I wonder if there were any pursuit more worthwhile. However, my only critique on the position of mathematical philosophy is the idea that mathematical representation is an imposed boundary, which is to say, the idea of indecipherability becomes invalid. Curious what your position on this idea might be. Pure Maths, to me is like Drawing or sketching. It is not the amount lines in a maths drawing that matters.It is not even whether most people actually understand the drawing. It is quite simply that someone eventually sees it and gets it… they understand the intention of the mathematics just like the artist and they run with it – they too doodle the next piece of the jigsaw as it were and on we go …..communicating what we think we know to someone. Perhaps someone we’ve never met ….perhaps years later after we have died even – like a cave drawing reaching out to the present understandings and speculations across space and time? Music, I used to be a professional cellist, might accent and underscore the action portrayed video devices (movie scores, newscast fanfares et al), might mask the human anxieties in a waiting room or conversations in a restaurant, might pander to a customers’ yearning hearts or restless feet… But deep in the recesses of the soul lies a language without words. Some perceive it clearly in terms of sound: woven tapestries of pitch, timbre, rhythm, melody. Pure purposeless music….. I broke a hand, stopped playing music (applied or pure) and knew immediately that I would study mathematics because that language of the soul can be spoken through the elements of mathematics, too. Physics is just the tip of a very large iceberg. Nice as usual, thank you! A small correction: Kurt Goedel was a (mathematical) logician, not a philosopher. Small correction to AEC’s comment: Gödel was a logician, mathematician and philosopher. https://en.wikipedia.org/wiki/Kurt_G%C3%B6del. Everything else I read was confusing my bearings!!! Reblogged this on James Revels Composer. I really enjoyed your article but the following assertion is incorrect. Gödel’s theorem only proved this for formal systems capable of arithmetic on the natural numbers. I mention this because Gödel’s work has been wrongly portrayed by many. For example, in New Age and ‘alt med’ circles it has been used to avoid and undermine legitimate skepticism of beliefs, assertions, and practices in those circles. It won’t be long before the ‘alt-fact’ crowd starts doing the same. Great fun reading this at 4:36 AM. Thanks a lot, a really enjoyable piece of writing and I look forward to reading more in the future. Pretty stupid to say that pure math is useless. Wow. Good job OP. This is a good enough explanation of pure math, but a terrible outlook that I wish you had not written. Not only did this help me in my search for university programs that are right for me, but I’m planning on starting an interview segment like this on my blog about the jobs of people in the various professions. Thanks for the inspiring education you’ve offered me today. Very much needed and appreciated. De ja vue! #31 was my summer research as an undergrad in 1969. What it taught me was that I didn’t want to spend my entire career in non-Euclidian geometry. I wound up a small town family doc by way of an undergrad computer science degree. Go figure! So what is this branch of mathematics in which 6 is monstrously big? What are the jobs available if we opt for pure math??? Is the payment worth the effort and time invested?